Michal Cimala (born 1975) belongs to the authors instantly connected with their era. Both in his paintings and sculptures he focuses on enthusiasm and anxiety of today´s world, which is a kind of model of an uncertain future. The future seen from Cimala´s point of view can be anything, ranging from a progressive technological miracle, human apocalypse to a deserted wasteland. It seems that the art and our culture have been attacked by a destructive virus, which anesthetizes living creatures and gives life to all an-organic. Robotic bodies, anthropomorphic machines, phantomatic memories of future are becoming alive. But the real human scale is disappearing from this system of imitation. Culture is being transformed into a technological reproductive machinery flooding the world with waste, which in fact, is the history of tiring reproduction itself. The exhibition Don´t run! 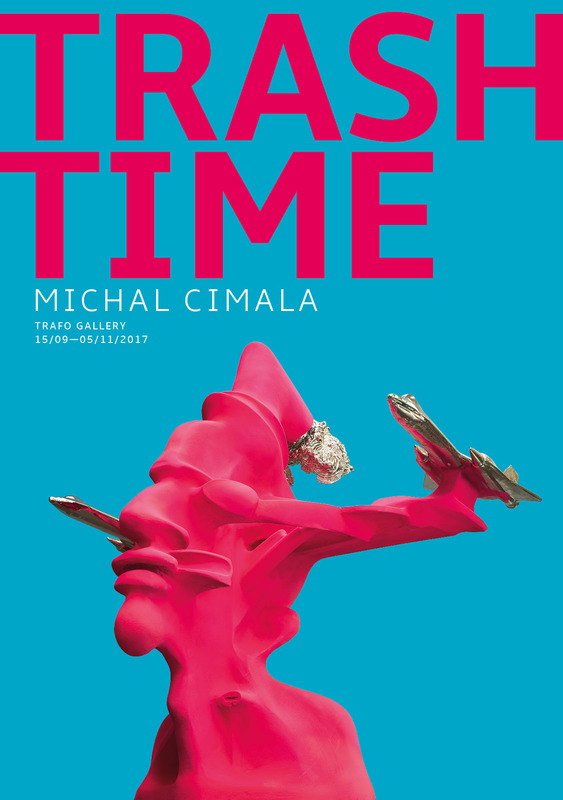 in the Trafačka Gallery presents a crosswise through the contemporary work of Michal Cimala. It is a probe of time, that cannot be escaped, because it´s nowhere to run. Trash time is expecting you! It´s looking forward to another temporary winners and especially to an endless line of victims trapped in a mistake that with reason they have outsmarted their own destiny.